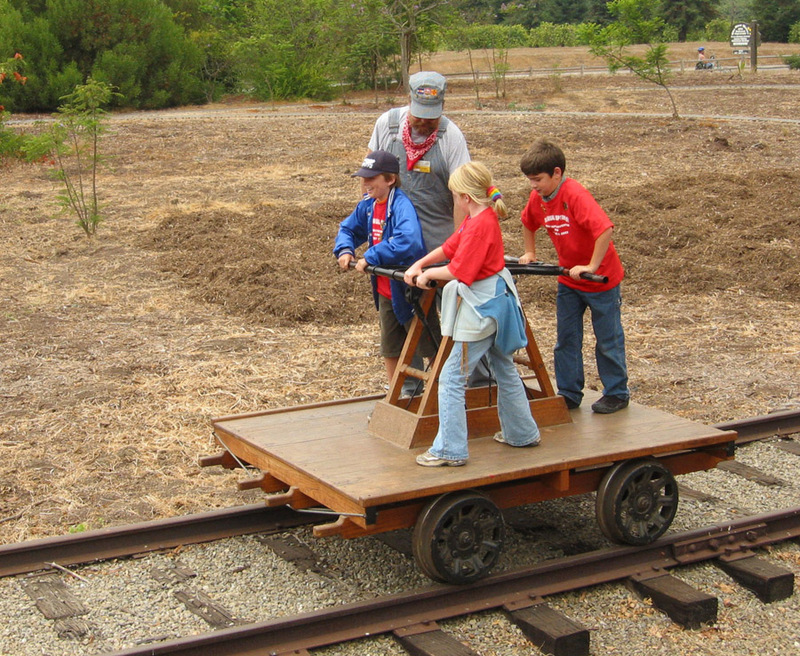 Free miniature-train and handcar rides will highlight the 12th annual “Rotary Day” at the South Coast Railroad Museum. This year, the event takes place on Father’s Day, Sunday, June 17. Hours will be 1 to 4 p.m. The Rotary Club of Goleta Noontime is the event sponsor. Members of the club will be on hand during the event to greet museum visitors and help with the rides. All visitors will be able to ride the train and handcar without charge as often as they like during event hours. 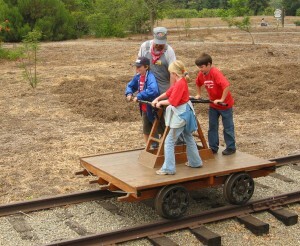 There is a 34-inch minimum-height requirement for the train; handcar riders must be at least 48 inches tall. 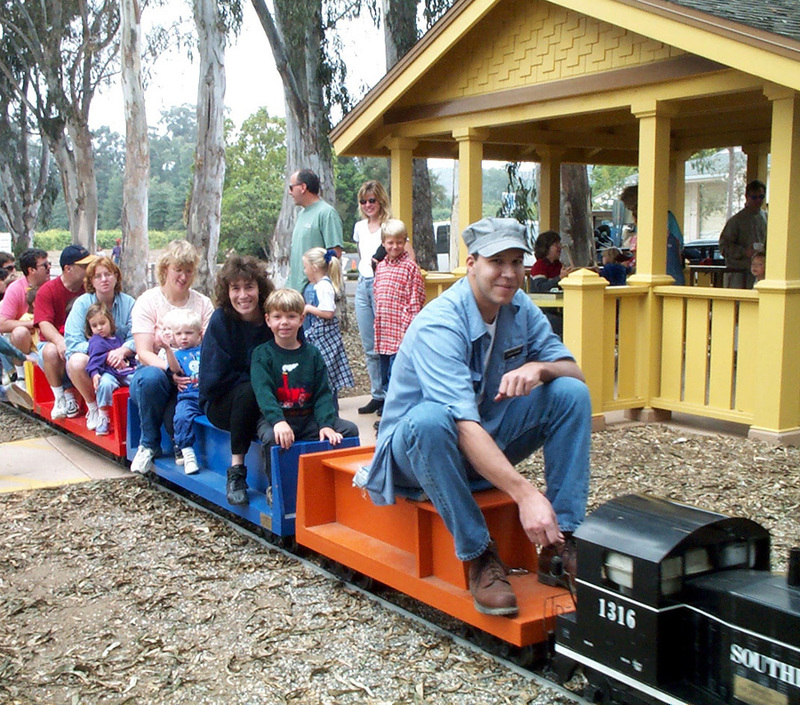 The “Goleta Short Line” miniature train follows a one-half mile course around the museum grounds. The ride is suitable for most children and adults. Handcars are powered by the passengers, themselves, who pump a lever that turns a set of gears connected to the wheels. These unique cars were developed during the second half of the 19th century and used to transport railroad workers and equipment. Admission to the railroad museum is also free; donations are appreciated. The museum is located at 300 North Los Carneros Road, Goleta. For more information, contact the museum at 805-964-3540, weekday afternoons.